- Which is the best way to protect investment in R & D? - How to resolve disputes between collaborators? - What happens if someone infringes a patent? - How can my client make money from his invention? I have experimented with putting hypertext links in the text. 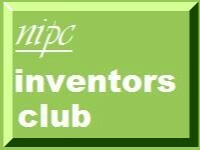 Thus, if you want to find out about inventors clubs click "Inventors Links" on slide 19 to be transported to the Wessex Round Table's excellent links page.